Let's begin with what exactly must be proven in a Driving Under the Influence (DUI) charge. The elements of the crime are found in the statute. (d) While the person is under the combined influence of or affected by intoxicating liquor, marijuana, or any drug. Now that we know what the government must prove, let's break down this critical part of the statute. In Washington state, the government can attempt to obtain a conviction under a number of different "prongs." These break down into essentially 2 different prongs, the "per se" prongs (a and b) and the "affected by" prongs (c and d). First, let's look at the "per se" prongs. The "per se" prongs create a legal fact or presumption; if the test of your breath or blood is higher than the prescribed limit (0.08 for alcohol or 5.00 ng for marijuana) then you are considered impaired or under the influence, as a matter of law. What does this mean? It allows the prosecutor to argue to the jury that if they believe the test is accurate, then they must find that you were impaired, and thus guilty. 2) being able to attack the credibility and accuracy of the tests. When interviewing possible attorneys, ask them what regular investigation they do in a DUI case. Do they regularly obtain the test and maintenance records for the breath machine? Do they understand how to read those records and can they explain them in simple understandable terms, like say to a jury? Do they understand and use the uncertainty tables to attack the breath tests levels? Have they have physically inspected these machines and obtained photographs? Do they understand the responsibilities and duties of the WSP Breath Technicians including the annual Quality Assurance Procedure (QAP), the simulator solutions, and the certifications these persons must obtain? In the case of a drug driving case, do they understand blood test cases, including warrant procedures, proper blood draw protocols, preservation of blood evidence, proper testing methods, and how to effectively cross-exam a state toxicologist whom performed the blood testing? An experienced and knowledgeable DUI attorney should be able to talk your ear off about all of these things to the point you get bored and beg them to stop! If not, you should look elsewhere. Second, the government can use the "affected by" prongs. This is where the prosecutor will use all of the other evidence to argue that you were impaired. These cases are most often found when a person refused the test, the officer failed to conduct a test, or the breath or blood test was suppressed following a successful motion hearing. This type of evidence used by the prosecutors in these cases is most commonly the police officer's or Drug Recognition Expert (DRE)'s testimony. This can include their observations (ex. slurred speech, bloodshot watery eyes, coordination problems, etc.) as well as their conclusions on any Field Sobriety tests that were performed. They may also used police dash cam footage, 911 call audio, and/or video from the jail. Having an experienced and skilled trial attorney who is able to attack the officer's credibility, failure to follow their training, improper administration and scoring of the field sobriety tests, and other observations is critical. The police officer has instant credibility and is a trained witness that knows how to testify in front of a jury and likely has done so numerous times. Thus, it is critical to hire a skilled trial attorney that knows how to effectively cross examine these types of witnesses to both attack their credibility and extract helpful facts for your case. In addition, hiring a trial attorney that will conduct a proper investigation right away and obtain any video, audio, witness interviews, pictures, training materials, and other possible helpful material is incredibly important to your defense, as some of these items may be deleted after some time. A trial attorney prepares for trial from day one because it increases the chances of a favorable outcome both before trial and if a trial is necessary. As you can see, the Legislature has written the laws to provide multiple opportunities for prosecutors to obtain convictions for a DUI charge. More often than not, the difference between being able to obtain a dismissal, a great plea offer, or a not guilty verdict is the amount of time, effort and skill a DUI defense attorney brings to the table. You are trusting more than just your money when you hire a defense attorney. You are handing over your liberty, your future, your time, and your trust. Make sure that any attorney you talk will take the time to answer all of your questions about your DUI charge, and do it in such a way that you leave feeling more relaxed and taken care of then when you arrived. If not, they aren't the right attorney for you. We think we are that firm and would like the opportunity to prove it. If you would like to set up a free initial DUI consultation, please call us at 253-383-3328 or email us at OFFICE@WILLIAMAWHITELAW.COM. The legislature has established specific mandatory minimum penalties that the judge must impose should you plead guilty to a DUI or are found guilty after a jury trial. It is important to know that these are simply the minimum penalties and the judge has the authority to sentence you up to the maximum authorized by law; 364 days in jail and a $5,000 fine. However, the likelihood of a person getting the maximum penalty on their first DUI offense is pretty low. Although no attorney can guarantee you a result or outcome, hiring an experienced DUI attorney will give you the best possible chance of obtaining a great result. If you wish to talk with an experienced member of our team or schedule a consultation, please give us a call at 253-383-3328 or e-mail us at OFFICE@WILLIAMAWHITELAW.COM. with a first time DUI offense can face. If your alcohol test was less than .15 or no test was obtained, the statutory fine is $990.50. If your alcohol test was above .15 or you refused the test, the statutory fine is $1,245.50. Note: the court will add additional costs and assessments on top of your fine. These costs can differ depending on which city or county court you are in. If your alcohol test was less than .15 or no test was obtained, your license will be suspended for 90 days. If you refused the test, your license will be revoked for 2 years. Note: If you lost your privilege to drive because of the DOL civil hearing, you will receive day for day credit for any suspension or revocation that results from a conviction of the same incident. This means the consequences to your license won't be doubled for the same incident. You can read more about license consequences here. If convicted of a DUI, your Judgement and Sentence (J&S) paperwork from the court will indicate that an Ignition Interlock Device is required "per DOL." Thus, the court is requiring you to comply with whatever time period the Dept. of Licensing imposes. 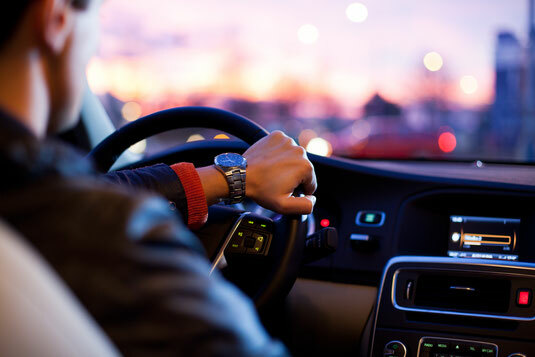 The Department of Licensing has the authority to require that you have a functioning Ignition Interlock Device in any car you drive for different time periods, depending on your specific circumstances. The most common requirements are: 1 year, 5 years, or 10 years. For an individual convicted of their first DUI, the DOL will require the person to have a functioning Ignition Interlock Device in any vehicle they operate for 1 year. This time period is mandatory and you cannot "sit out" the 1 year requirement. In order to reinstate your license, you must comply with this order. What else will I have to do? If convicted of a DUI, the court will also require that you obtain an alcohol evaluation from a State certified agency and complete any recommended treatment. We strongly believe that part of the job of a DUI defense attorney is to help guide the client through this part of the process as well. There are a number of attorneys and law firms that will simply provide you with a bare explanation of what this entails and provide you a list of agencies for you to call. Our firm understands that this is also a very emotional and stressful part of this whole process. We believe that part of our job is to fully explain the process of the evaluation and to provide names and contact information only for agencies that have shown they are reputable and put your best interest ahead of their bottom line. Having your evaluation done at a reputable agency is important for two reasons: 1) the court has to accept the evaluation, and 2) the cost of long term treatment (1 year to 2 years) can be several thousand dollars. In addition, not only will the court require an alcohol evaluation, but they will require you to complete any follow up treatment that is recommended. For a person charged with and convicted of a first time DUI (or reduced charge), the minimum follow treatment that is required under state law is an 8 hour class called an "Alcohol and Drug Information School" or "ADIS." This can cost about $100.00, although some agencies offer a dual class where you can complete the ADIS class and the Victim Impact Panel (VIP) in one day which is cheaper than taking each class individually. Make sure you hire an attorney or law firm that will take the time to guide you through the whole process, including the alcohol evaluation and any follow up treatment. The court will also require you to complete a Victim Impact Panel class or "VIP." This is a class that usually consists of a video, educational materials, and guest speakers. Often the guest speakers are victims or family members of victims of drunk or drugged driving accidents. The main idea behind these classes is to educate and remind you that there can be severe, even deadly, consequences to driving impaired. These classes hope to provide you with the education and emotional reminders that will help prevent you from getting behind the wheel of a car impaired again, or even stopping others from doing the same. As noted above, some of the agencies that offer alcohol evaluations and the ADIS class, offer a dual class where one can complete both classes in one day, often a Saturday. An experienced DUI defense attorney can guide you through this process and provide contact information for reputable agencies. For more information, you can also check out the Washington State court's DUI sentencing grid for all the mandatory minimum penalties and Dept. of Licensing penalties here. *Please not the Sentencing grid will change based on changes in the law, and that may occur faster than we can update this site, so always double check you are looking at the most current version OR just contact us!